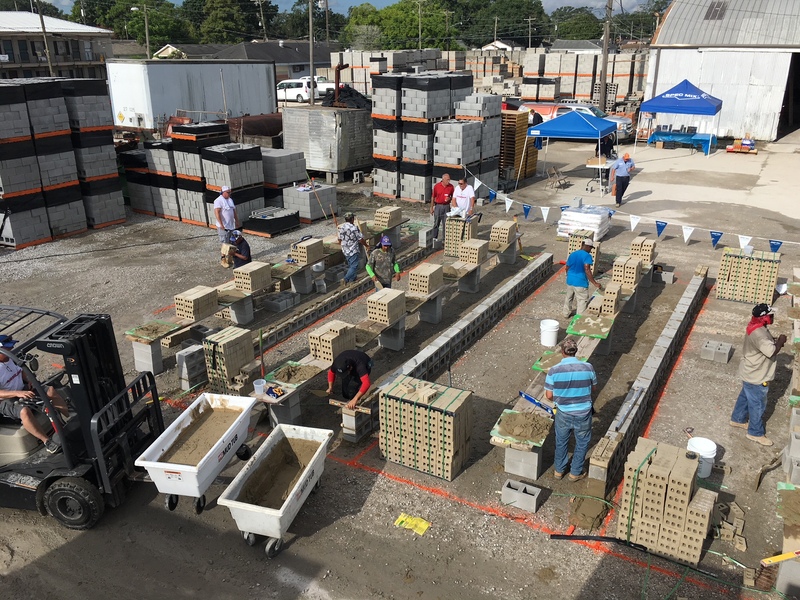 Metairie – The 2018 SPEC MIX BRICKLAYER 500® Louisiana Regional Series has come to a close and mason Jose Perez and mason tender Juan Perez of Bullseye Masonry in Ponchatoula, LA won it all. 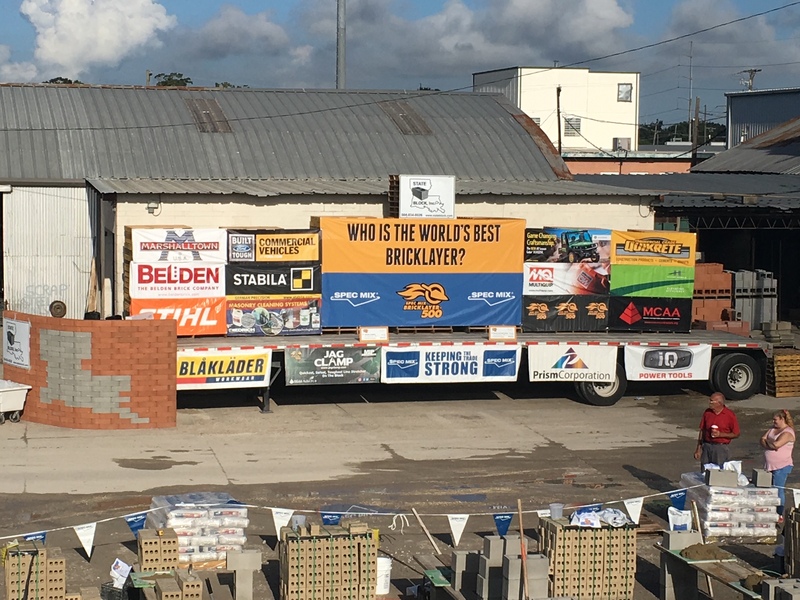 Now they will be heading to Las Vegas to compete in the SPEC MIX BRICKLAYER 500 World Championship next January at the World of Concrete. 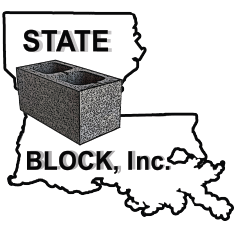 State Block, Inc in Metairie, LA hosted the regional series event, one of 24 being held across North America. 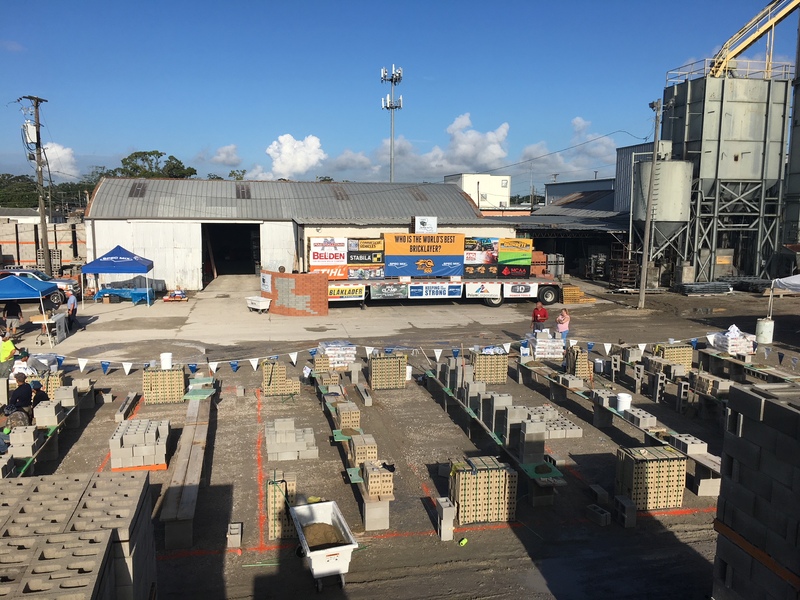 The qualifying national competitors will battle for a chance to win over $125,000 in cash and prizes, including a Ford F250 XLT 4X4 truck and John Deere Gator. 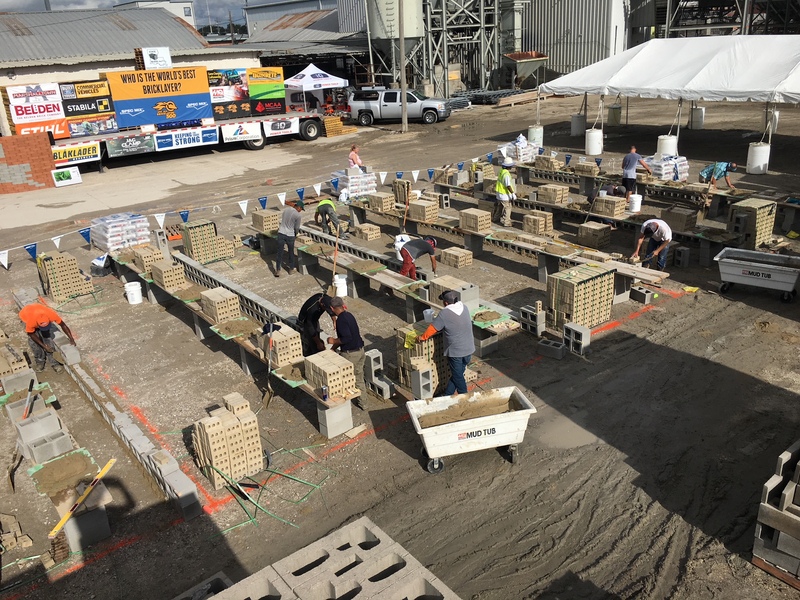 This year’s regional event drew nine teams of highly skilled bricklayers. 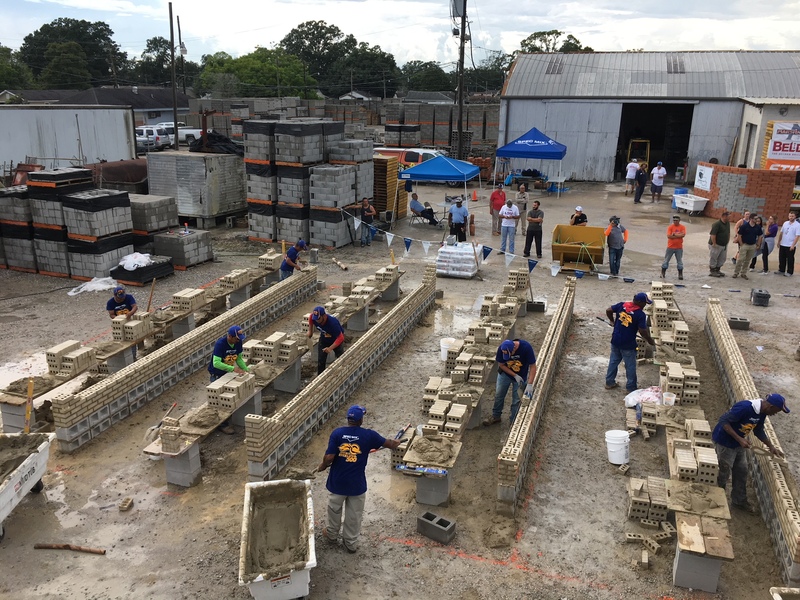 Their mission is to build a wall as big as they can in one hour. 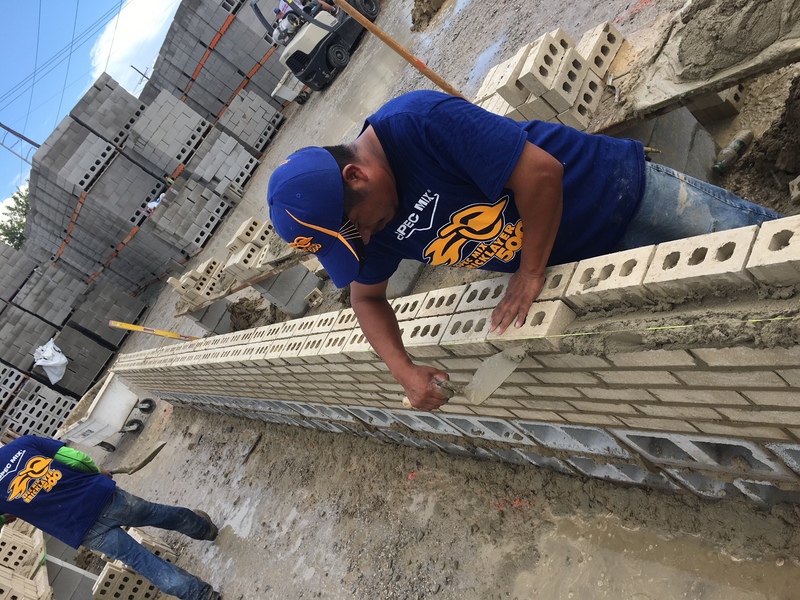 The mason who lays the most brick with the least mistakes wins. 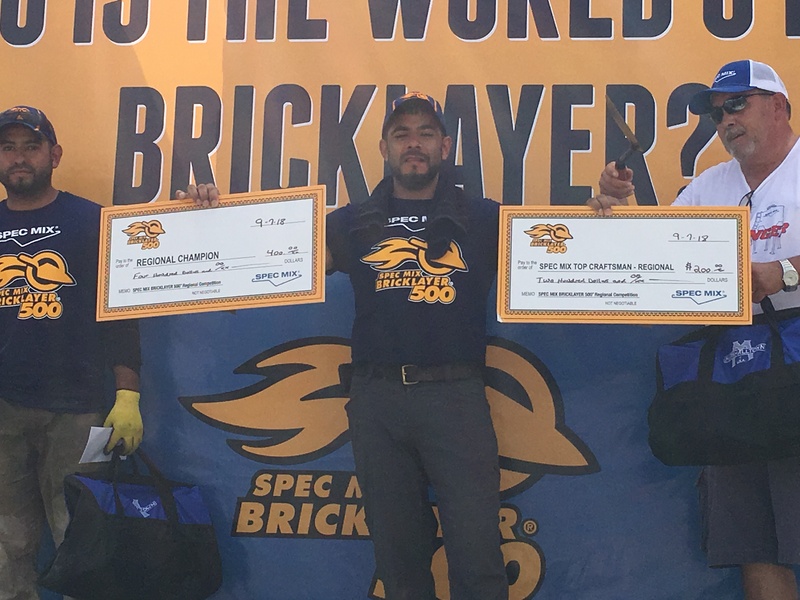 Jose Perez and Juan Perez celebrated with a brick count of 640, and no deductions. 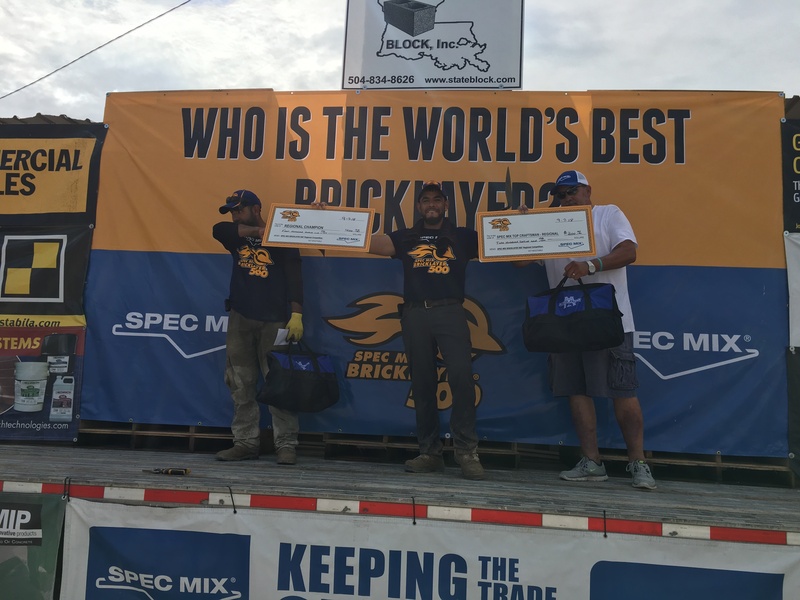 For their efforts, Perez and Perez receive $400, a trip to Las Vegas and the title “Louisiana’s Best Bricklayer.” Jose Perez also took the title, SPEC MIX TOP CRAFTMAN, which goes to the mason with the “most sellable wall,” and earned an extra $200. 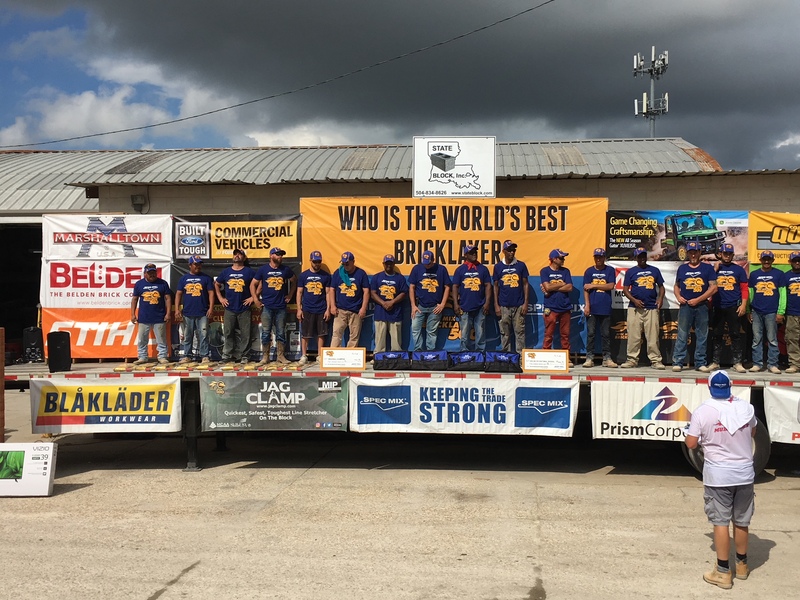 2nd place went to mason Brian Strider and his mason tender Trey Morvant of Gator Masonry in Waggaman, LA with a brick count of 535 earning them a prize of $350. 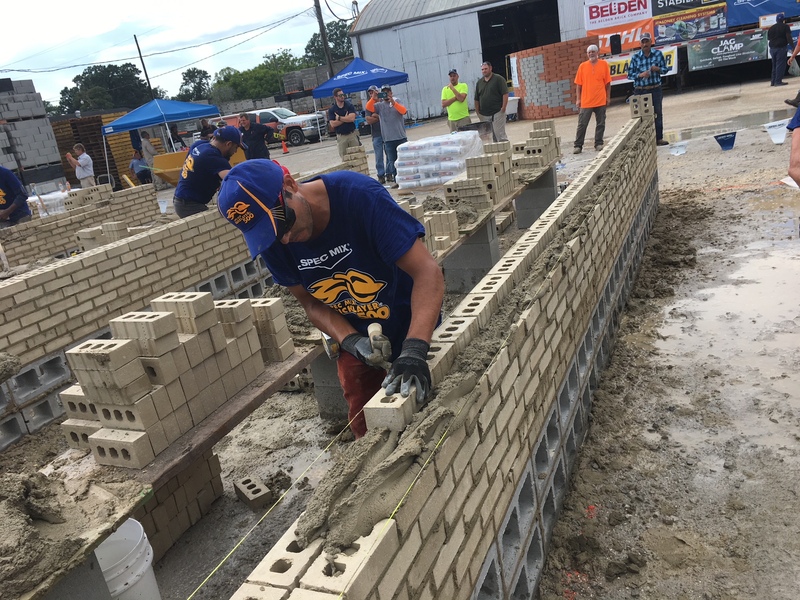 Third place went to mason Simon Cruz and his mason tender David Santiago of Gator Masonry, Waggaman, LA who received $300. For the first time in the history of this regional, weather played a factor. 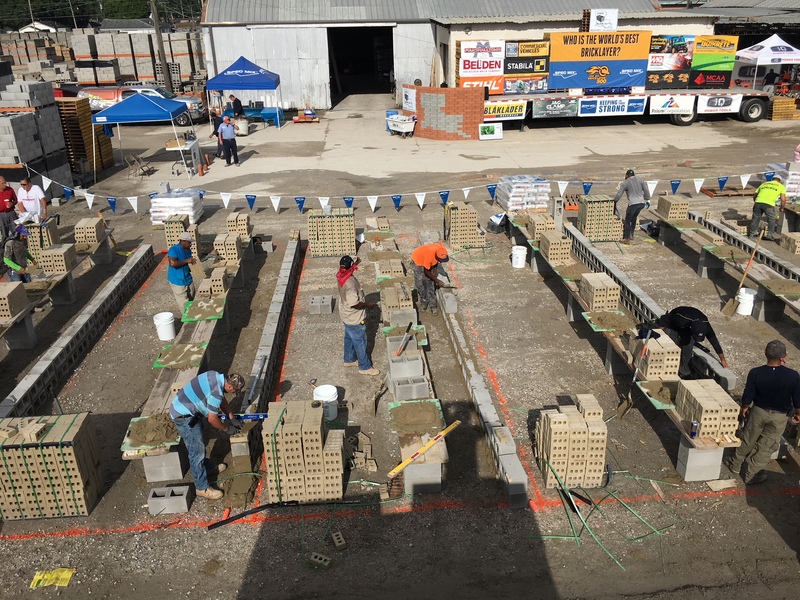 A late morning thunderstorm delayed the competition, but not the spirit of the local masons. 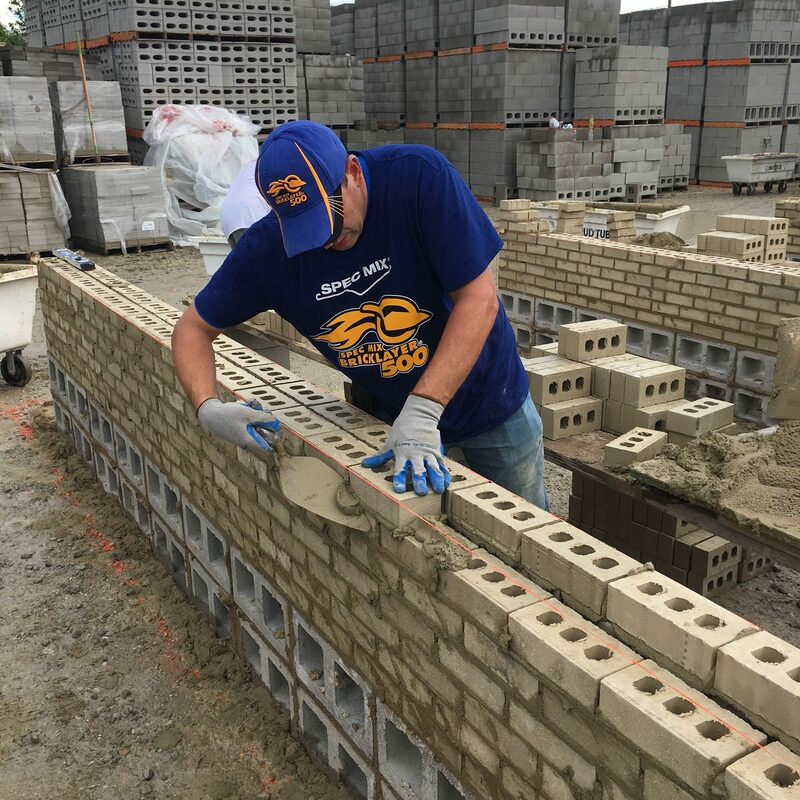 They rallied together to cover their walls, and embraced the conditions. 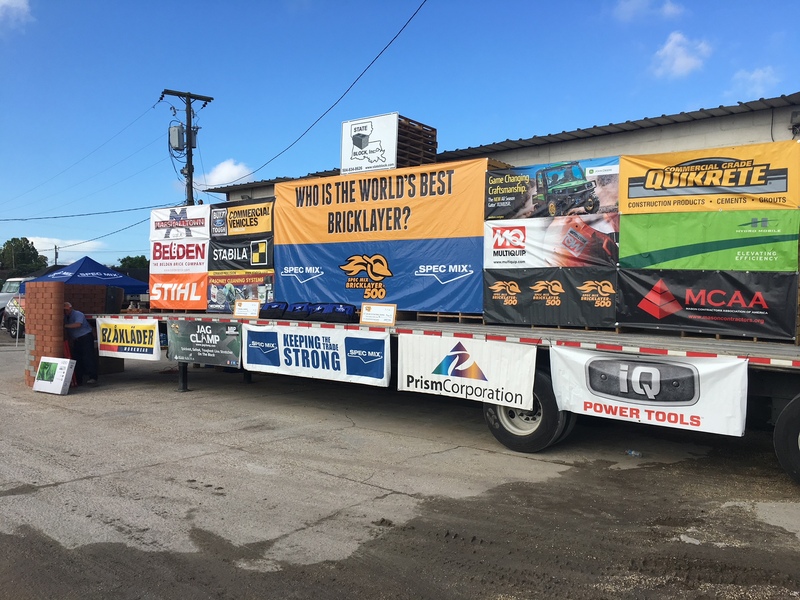 The top three finishers all ended the day with zero deductions, proving mother nature was really no obstacle.